Thinking about developing an app? Concerned about the budget? While it is true apps can be expensive, but it is not mandatory that they have to. A lot depends on what you develop, how you develop & how you deploy it. So before you jump in, do a little homework- it is quite easy to figure out your own mobile app development budget estimate. Mobile App is not limited to a certain segment of industry; it makes its worth in almost every vertical and benefits various businesses to make their day to day operations smooth and their process convenient, to target a bigger audience, to understand the user behavior, to build their online brand to go beyond multiple Geographies, to generate more revenue. The inclusion of mobile application provides an excellent way for enterprises to secure their applications without controlling their employees & to attain higher user-engagement. How Survey Justifies This Need? A survey had conducted on the mobile app revenues from 2015 to 2020. In 2015, global mobile app revenues amounted to 69.7 billion U.S. dollars. In 2020, mobile apps have projected to generate 188.9 billion U.S. dollars in revenues via app stores and in-app advertising. After analyzing these stats, you must have been thinking about mobile app development for your business idea Right? Related Articles: How Inclusion of Mobile Applications Help Startup Businesses to Become Unicorns? However, transforming a unique business idea into a productive mobile app requires lots of brainstorming, development as well as testing efforts. However, before blending these things together for developing a mobile app, planning mobile app development budget is an initial as well as a crucial step. 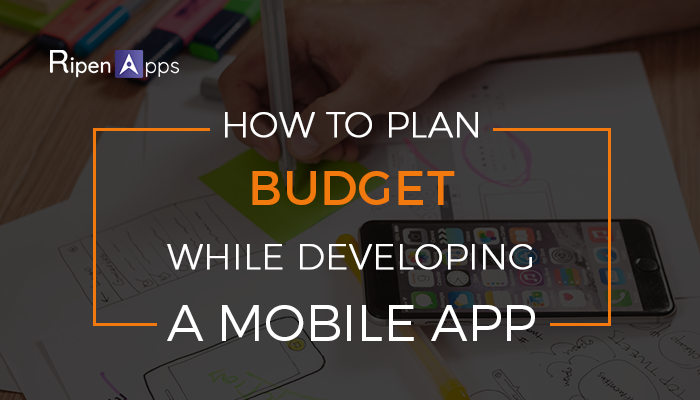 In mobile app development, budgeting is a complex process. Every application has its own purpose and its own objective for the customer-which is often productivity, saving user’s time, efforts etc. Now, if you want to have your mobile app developed then this guide is going to give you a better picture of the mobile app development budget. We have estimated the overall mobile app development budget by covering major aspects where the need to spend money whether it is App development cost, marketing cost, user acquisition cost, or user retention cost. At the end of this breakdown, you will have a much better understanding of what your budget range should be if you want to have your own app for your business. App development cost estimate is what sits at the very bottom of any mobile app development budget. Quite often a company owner finds himself trying to answer these two questions- How much does it cost to make an app for my business by hiring a professional or how much does it cost to make an app by myself. Functionalities & Purpose of App: What an app will actually be capable of doing for its users. Mobile Platforms & Supportive Device: Cost determines at the time of choosing the platforms or supportive device. Whether an app will be developed for iOS only or has Android or another version as well. Cost determines at the time of refining that what specific device will it support iPhone’s series, iPad or Tablets. Use of Hardware Features: Apps like IoT apps requires additional hardware features to be combined in-app and that charges extra costs. When designing a budget plan for the heavy load application, it is very important to take account & accurately calculate such costs as the pricing of the hosting service where the application data will be stored. If we give a rough estimation, then it is simple: If the cost of storing object is $0.1 per GB of space per month & your app is calculated, say for 5000 users, with a limit of 2 GB, then the result of multiplying all the numbers, the cost of the server would be $1000. Once an app development is over, certainly it will require a technical support from its developers. Cost for that technical support based on subscription for year or more. Maintenance cost of an app depends on the active user-base of the app. It cost high if there is an app like media app. Maintenance cost varies according to user-engagement on the app. Mobile app marketing budget depends on the market you want to enter and your target audience. The app can be serving as an extension of your brand identity or a place where you provide services. With the goals are different, the price of marketing also varies. Social media ads- try boosting Facebook or Twitter and see how it goes. Videos: This format is getting more popularity day by day. Blog Presence: Readers can become customers at any moment. SEO keywords: Help people to find you & increase the traffic. Unique Content: Being useful works well for long-term relationships. Events: Community & media attention always comes in handy. Banners: posters & banners are a powerful offline marketing strategy to grab the eyes of users. Newspaper Ads: can be an effective method as a newspaper is a widely usable source of marketing. For new business, getting first income is critical, that is why it’s necessary to concentrate on essential and spend about 20% time on marketing activities. In this model- If you have less than $1000 to spend for a month, it is safer to try different methods of gaining customers and adjust the strategy along the way. A sufficient budget for mobile app marketing comes under this model. If you have a budget between $1,000 to $5,000 you can actually shape quite a comprehensive budget for marketing a mobile app. It requires websites, social media channels like Facebook, Twitter, and Instagram etc for marketing the app under this budget. In this model, you will have a marketing specialist who can work hard for marketing the app. It will cost more than $5000. A larger budget means you will get more channel to promote an app. As a company may have spent a huge amount of time & efforts in developing & designing the app but the entire process can be a failure unless it is sustained with an equally good & reliable customer acquisition strategy. Mobile user acquisition is now more competitive, expensive & complicated than ever before. What is Customer/ User Acquisition Cost Exactly? Customer acquisition costs (CAC) portray the estimated costs for every new user you acquire for your business. The CAC is a vital metric while estimating mobile app development budget. Now, how can we Calculate CAC? To calculate user acquisition costs, we have to determine all the resources necessary to acquire one single new customer first. These resources convey every effort you have to invest, from reaching potential users in converting them into active customers. Paid Advertising: Paid app marketing is a sure shot way of ensuring downloads & acquiring a set of customers within a set timeframe. Paid App advertising could be through various channels such as App stores, social media or even third party apps promoting publisher app. Benefits & Rewards Programs: Who does not like being rewarded? Be it a simple discount on the next purchase or a coupon to be redeemed. Apps that provide benefits & reward programs are sure to attach multiple users very quickly & achieve high engagement with them. Referrals: If users have great things to say about your app & would like to share it with others, make it easier by integrating social sharing capabilities so a user can easily share at the instant that he or she feels like. Organic channels are those channels that do not require money for marketing. These channels are email, SMS & social media. Content plays a crucial role in acquiring the users towards app. Just like other online portals, it affects user acquisition. Did you know the fact that it cost five times as much to attract a new customer than to keep an existing one? The foremost rule of any business is to retain customers and build loyal relationships with them. Retaining to a user is a way that makes your user connected with the app. Some features emerge with the app, in order to retain the user. Refunds & Credit: It costs to add features like refund & credit to the app. It enables users to get the refunds & credits via an app. Wallet/Discounts: There are many of them in nowadays which holds wallet option in their feature list. This feature enables a user to achieve points through the functionalities of the app and can use those points as a credit. In the case of user retention, the refunds converted into points and credited into the wallet of the app so that user can use those points anywhere. These features costs and affects the budget of the application. The technique of budgeting in the mobile app development acts as a very prominent factor in the ROI of the entire Mobile app project. The mobile app development company needs to make sure that the budget is well padded and also does not scare away the customers. Having a budget in place ensures you do not overspend and end up in trouble while settling the bills with the customer. It is important for the relationship building with the client too.